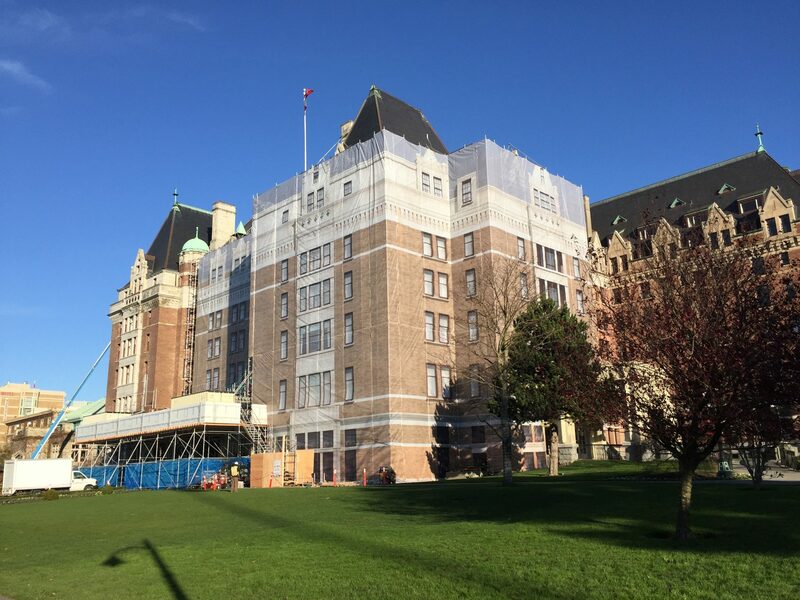 The Empress Hotel is in the process of being wrapped in a 46,000 square foot image we created for the Victoria landmark. The image is a composite of high resolution photos by Sama Jim Canzian and 3D renders by Kevin House. The wrap consists of 46 panels of mesh (each 100 feet high) which wrap around the front and sides of Sir Francis Rattenbury’s original 1908 building. Here are a few photos of the installation in progress. Restoration work is being done to the exterior between now and spring 2016. More photos and a case study of the creation of the gigantic image to follow.